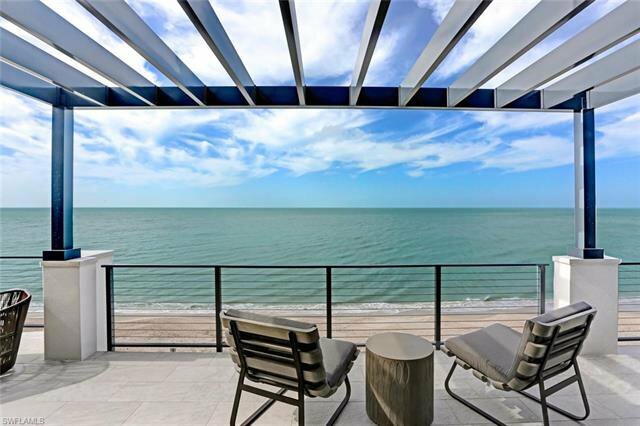 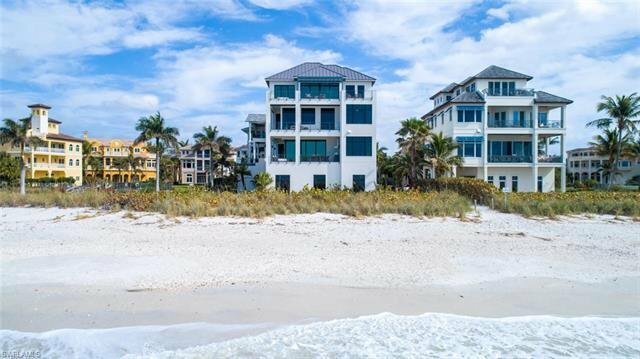 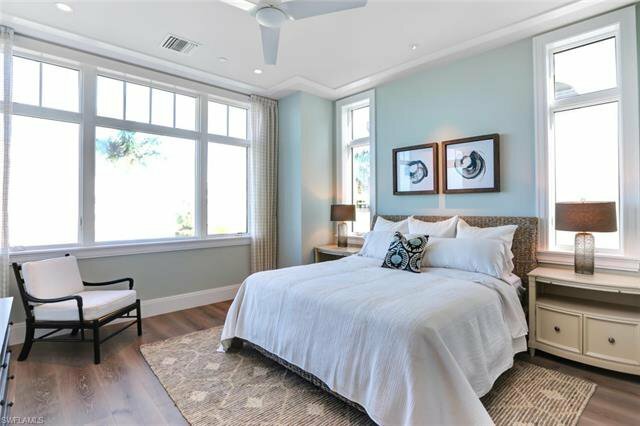 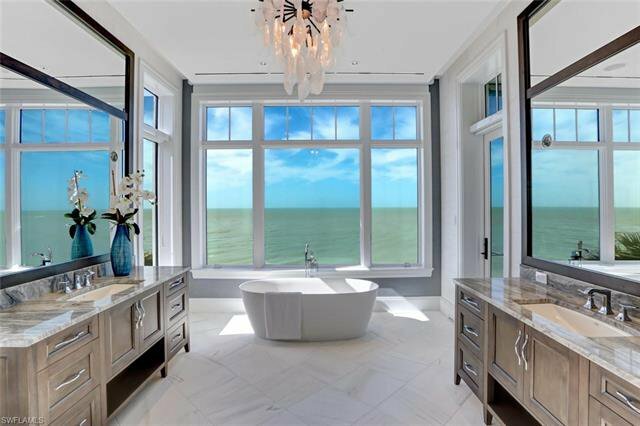 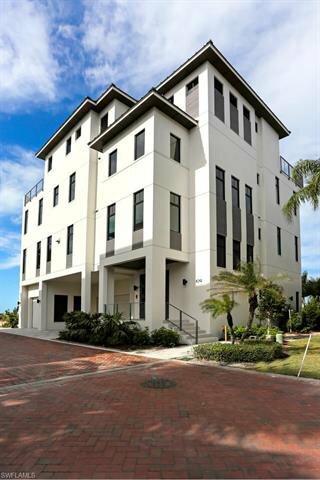 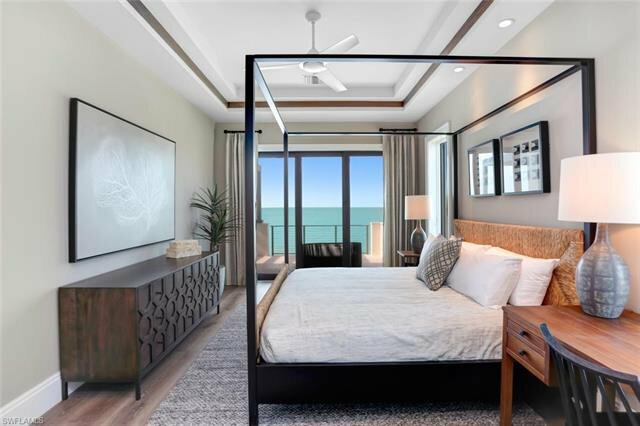 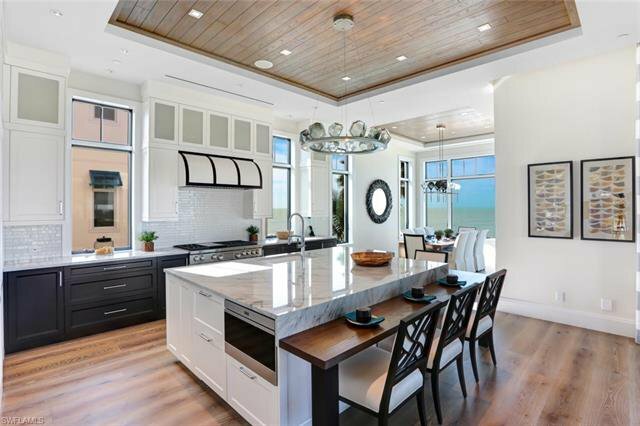 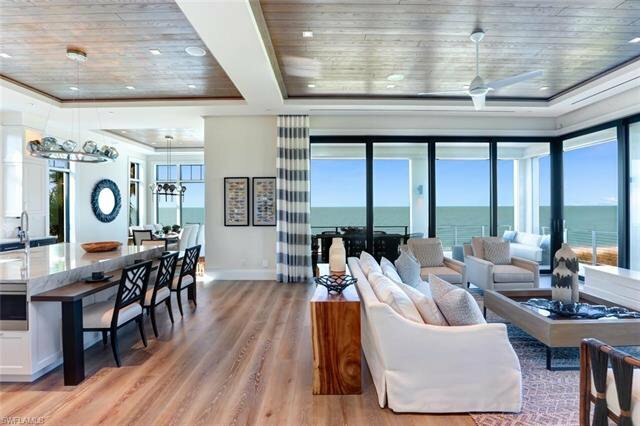 Rarely available direct beachfront, FIRST POSITION, 2018 NEW CONSTRUCTION in Barefoot Beach—by the highly regarded Windover Development. 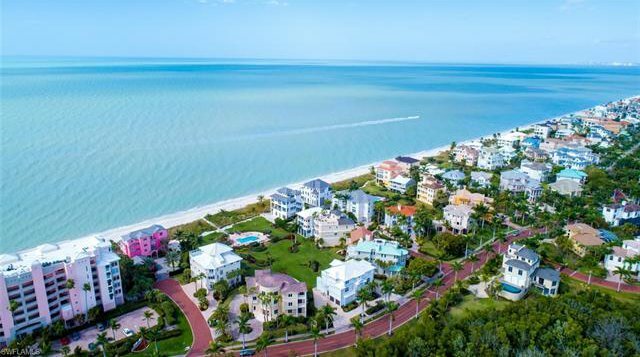 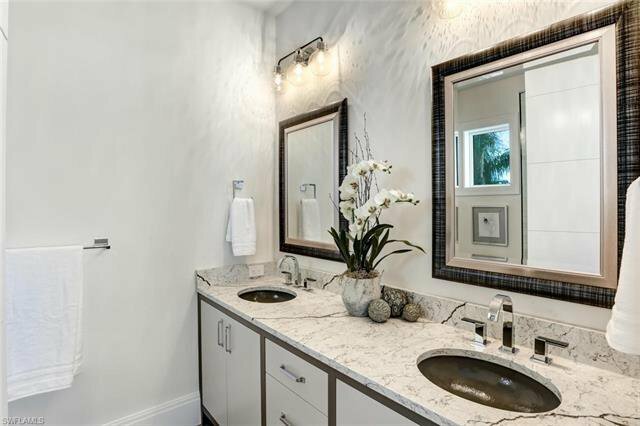 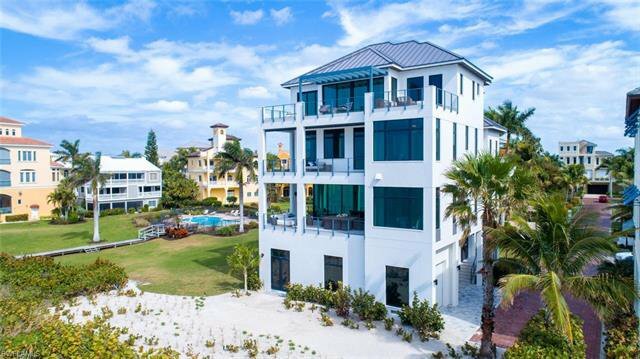 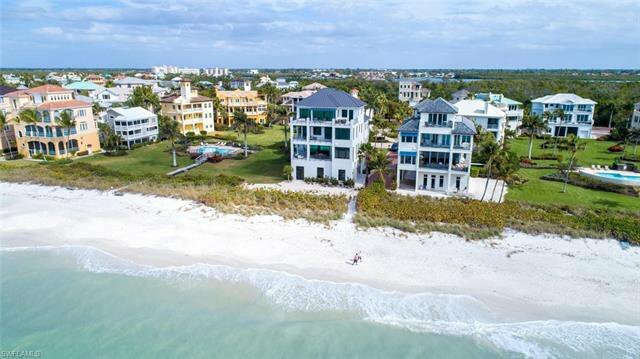 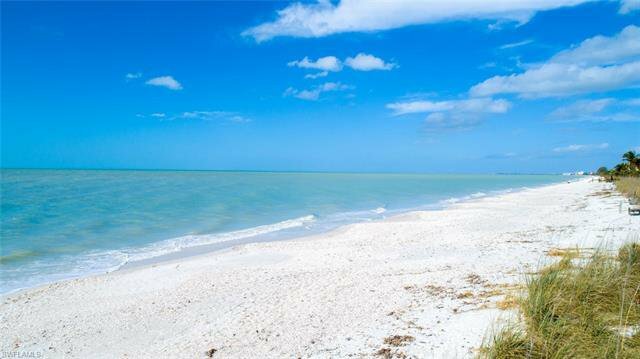 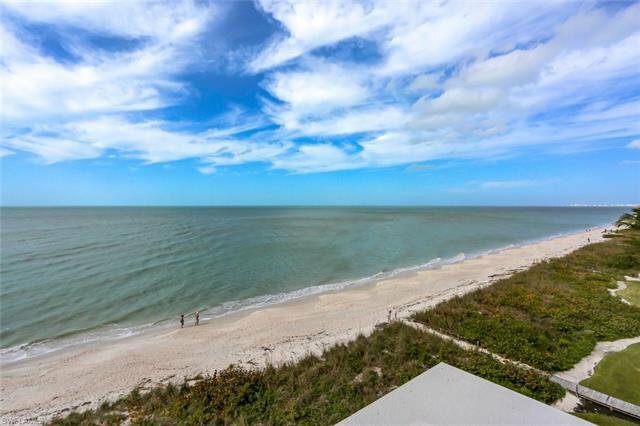 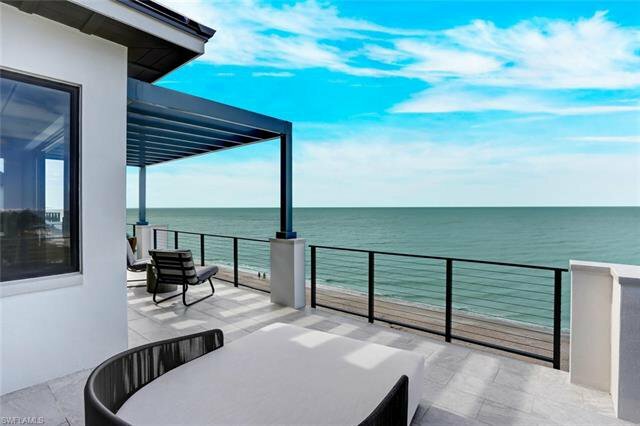 Nestled in Collier County’s gated Barefoot Beach community, this state-of-the-art North Naples masterpiece boasts only the finest features, finishes & décor, with the Gulf of Mexico as the backdrop. 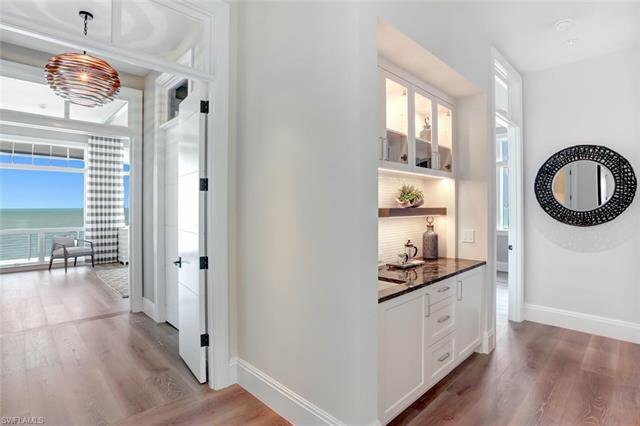 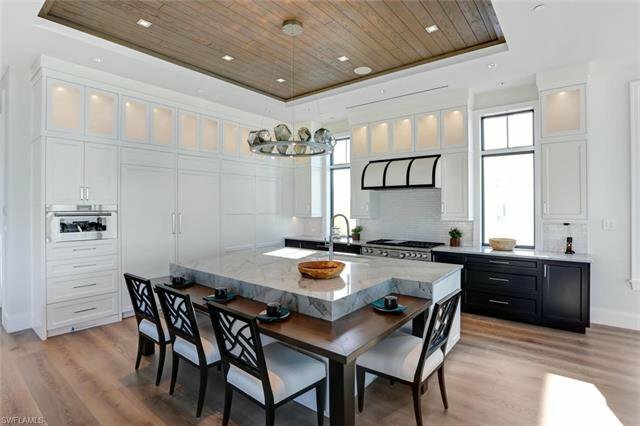 No details overlooked from the Gulf view chef’s kitchen with Wolf/Sub-Zero appliances & quartzite counters, & white oak hardwood floors & wood-paneled ceiling features, to the Creston smart lighting & home automation. 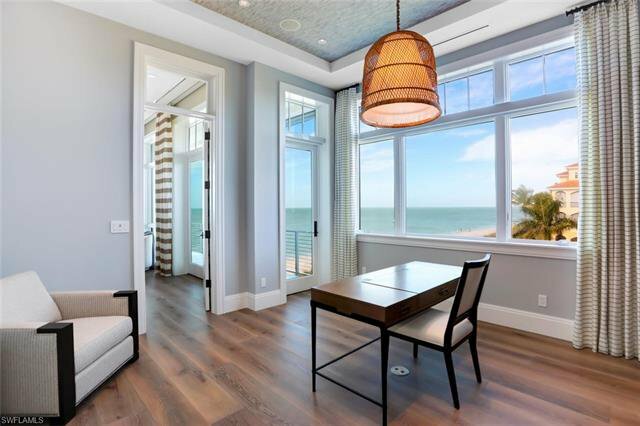 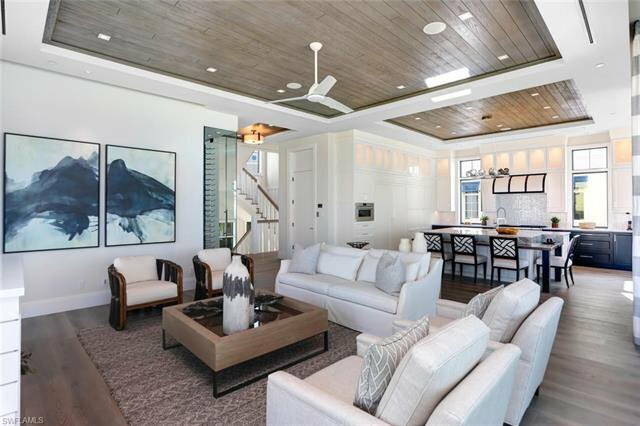 Offered fully furnished & decorated in a stunning coastal contemporary motif by celebrated Freestyle Interiors. 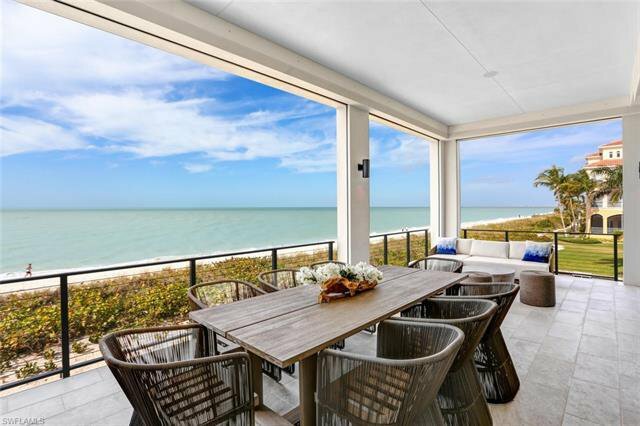 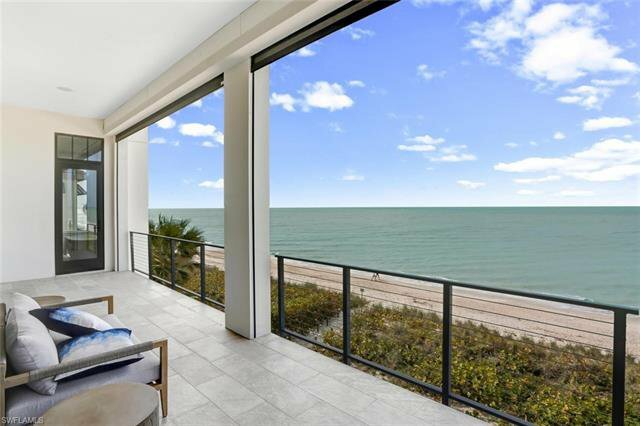 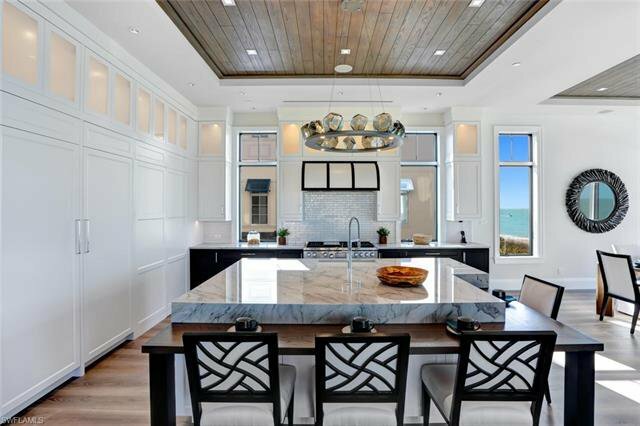 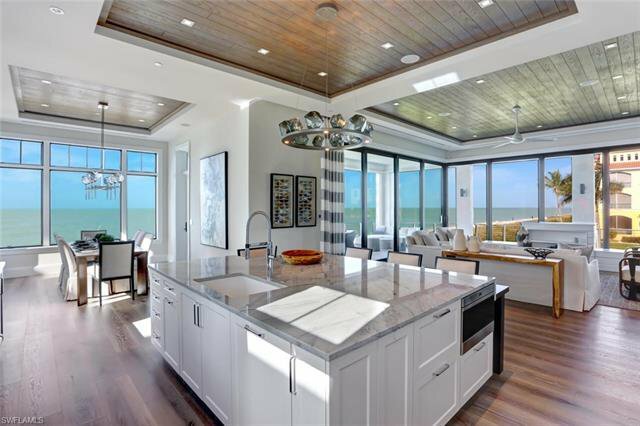 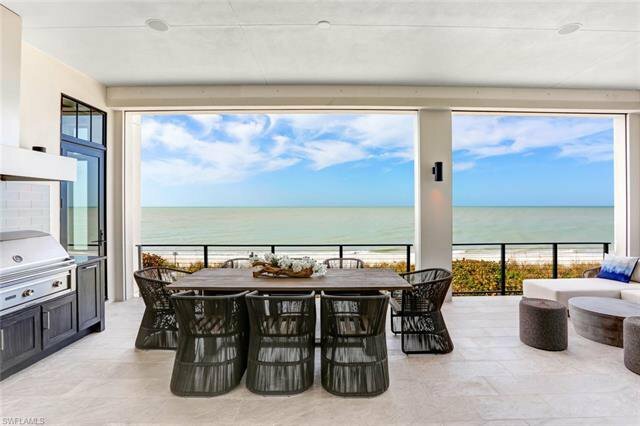 Delight in an open floor plan opening to the beachfront entertainment deck with outdoor kitchen: seamless indoor/outdoor beachfront living. 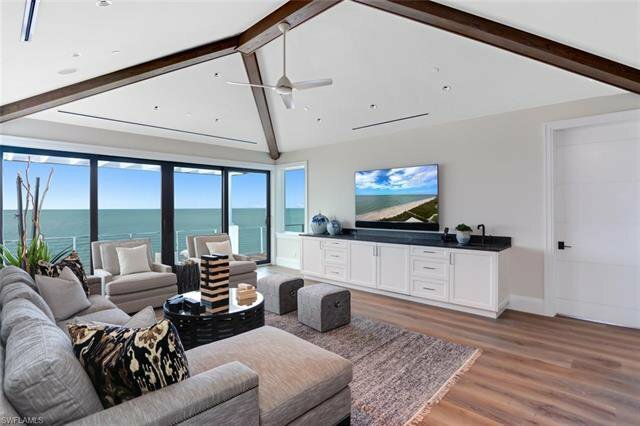 This 5,700+ sq ft estate includes a bonus Cloud room, 3 beachfront lanais (one with fire pit feature), garage for 7 cars & private elevator. 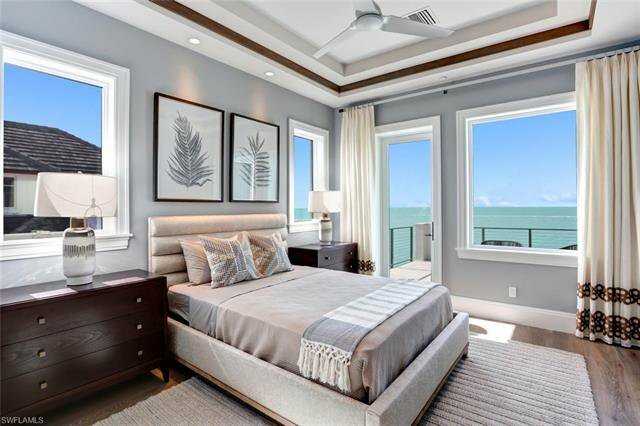 Built to the most current & stringent codes with concrete block construction, Andersen hurricane impact windows, motorized screens, storm shutters & sliders, plus aluminum snap-clad metal roof system. 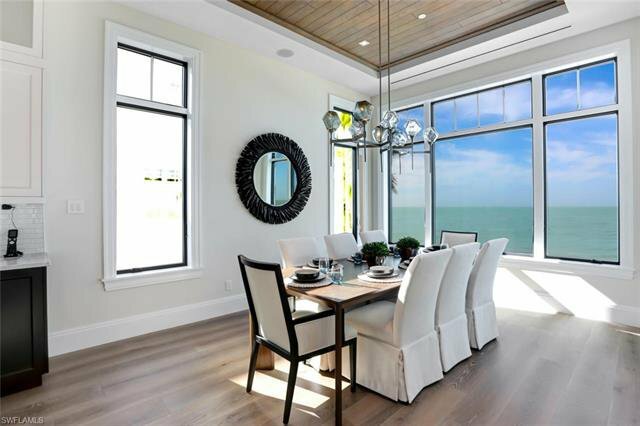 A showcase of visionary design by Kukk Architecture.